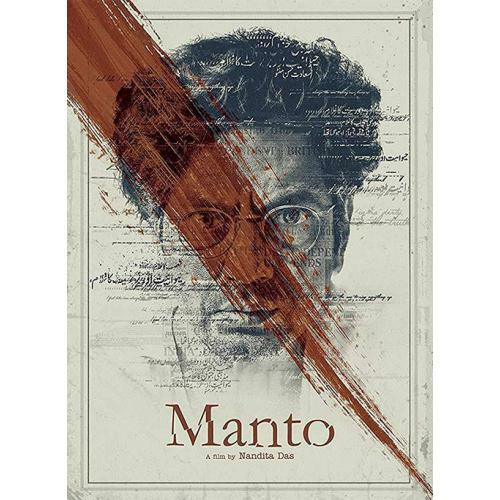 Manto is a 2018 Indian biographical drama film about the famous Urdu author Saadat Hasan Manto. The film stars Nawazuddin Siddiqui in the title character of Indo-Pakistani, author and writer Saadat Hasan Manto. Tahir Raj Bhasin plays the 40’s Bollywood superstar Shyam Chadda. The film is a biographical account of writer Saadat Hasan Manto's life and is set in 1940s India. The film follows the most tumultuous four years in the life of Manto and that of the two countries he inhabits - India and Pakistan. In Bombay's seedy-shiny film world, Manto and his stories are widely read and accepted. But as sectarian violence engulfs the nation, Manto makes the difficult choice of leaving his beloved Bombay. In Lahore, he finds himself bereft of friends and unable to find takers for his writings. His increasing alcoholism leads him into a downward spiral. Through all of this, he continues to write prolifically, without dilution. This is the tale of two emerging nations, two faltering cities, and one man who tries to make sense of it all.